Enjoy an evening of exquisite music in our fine listening room. Younce Guitar Duo has been entertaining audiences since 2009 with their exquisite original compositions and superb musicianship. 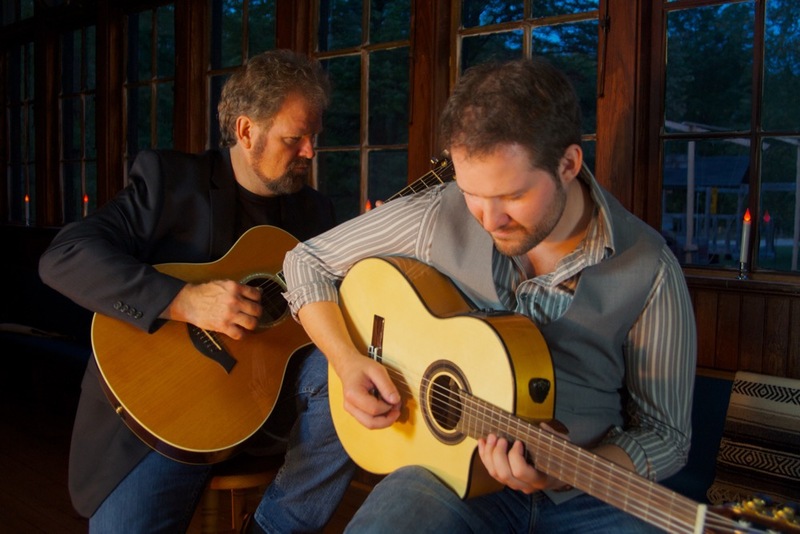 Featuring Jerry Younce and his son Ryan, Younce Guitar Duo creates intricate, flowing & rhythmic sonic weavings inspired by Latin, Jazz and World Music. Its a musical journey that both moves and exhilarates! Please arrive 15 minutes early for parking. You may bring your own drinks. Ice Tea/Water available. Other drinks available by donation. Chairs are available. (Comfort varies) You may want to bring your own. The concert is held inside.